Indonesia is Southeast Asia’s largest economy. Though rich in natural resources, consumption and labour productivity play a large role in fuelling the country’s growth. Indonesia has the potential to be the world’s seventh-largest economy by 2030, and measures are in place to further remove business barriers. The EU is currently Indonesia’s third largest trading partner and one of its main foreign direct investors. To improve business relations, Ireland’s Minister for Public Expenditure and Reform, Brendan Howlin TD, visited Indonesia in 2013. 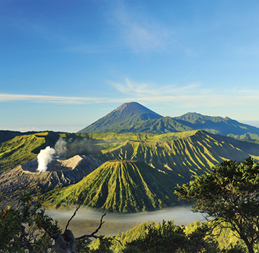 For more detailed information when trading with Indonesia, download our Indonesia Fact Sheet. All shipments are subject to duty and taxes as Indonesia Customs do not offer a duty free allowance. For an estimate of landed costs (duties, taxes and other import fees) for shipments going to Indonesia use the free and interactive DHL Express Trade Automation Services (TAS) tool, tas.dhl.com. TAS also provides information on regulations compliance and trade documentation.